"Where in this wide world can man find nobility without pride, friendship without envy, or beauty without vanity?" ~Ronald Duncan, "The Horse," 1954. Thank you for helping me find my perfect partner - Rebecca B. 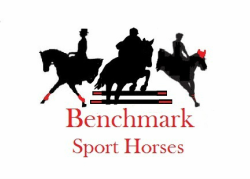 "We have been working with Jessica since the very inception of Tebogo Sport Horse's existence. Over the years we have had at least one horse in full-training with her at all times. The care and training she provided was exceptional. She is completely professional and honest beyond reproach. Her horsemanship cannot be topped. Not only do I trust her judgment and rely on it often when our horses are with her, but over the years I have also learned much from her regarding the care and training of off the track thoroughbreds and apply what I've learned from her to our own program. While I'm sure she's wonderful with all breeds, my experience with her has been exclusively with thoroughbreds coming off the track and being retrained as sport horses. Her particular understanding of these horses and how to go about getting the best out of each one is hard to beat. She recently changed her focus from running a training board barn to sourcing and selling OTTBs herself and we have just happily purchased one of her finds to add to our string here at Tebogo. We hope to do so again often!" "Jessica has been a vital part of CANTER MID Atlantic for many years, and with her knowledge, experience and insight into the thoroughbred mind, she has helped transform the organization into what it is today. Without fail, Jessica is always "horse first" and understands how to get the best out of an OTTB in a gentle, understanding way. To find someone with her knowledge is such a privilege, and I truly believe she ranks among one of the most learned, and highest quality OTTB retrainers in the country. Several years ago, Jess and I discussed the idea of a blog that would help demystify the retraining process, and she now has a loyal following of readers that appreciate her straight forward, amateur-friendly approach to the OTTB training scale."